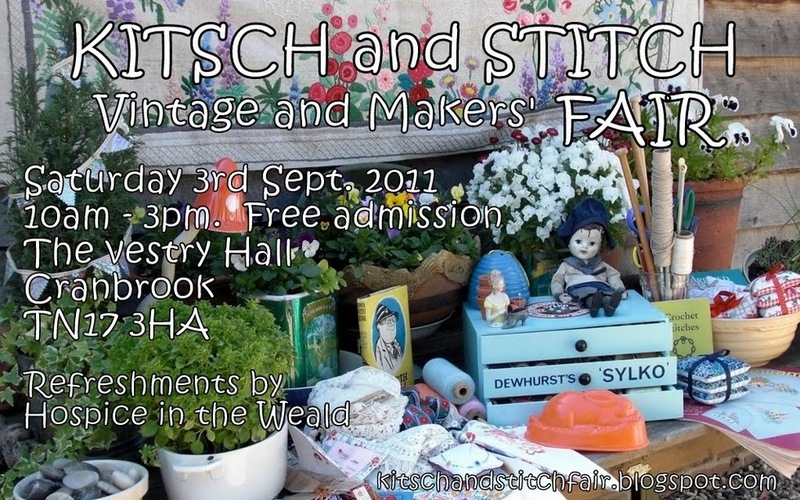 Firstly to kick off the month i exhibited at the first ever 'Kitsch and Stitch' event in Cranbrook and what a fantastic day that was!! Not only was it amazingly well attended (with lots of friendly customers which is always nice!) it was fabulously organised by two lovely ladies who made us all feel very very welcome! It was a perfect place to launch my new range of Pick & Mix cake stands which went down a treat and almost sold out. Cakes on sale were delish and all for a good cause which made eating them obviously less sinful - and i met some really lovely stall holders with beautiful items! I can't wait to be back for the next ones!! There are still some lovely costumes & props left, plus tons of amazing buttons, trims and fabrics - so we are thinking of another one either later this month or in July - if you are interested then please drop a line to me and i will add you to the email list once details are ready. I am enjoying the crockery and cake stand I bought from you. Will definitely be seeking you out for more!